Power on the go? Why didn't you ask? We've got plenty! These portable, rechargeable lithium ion battery packs are simple, compact and make for a great way to power your widgets in the field. Best of all, they're dead simple to operate: just connect your device to the USB-A port on the battery pack and press the power button. A 7-segment LED will alert you to the charge level of the battery and start powering your device. 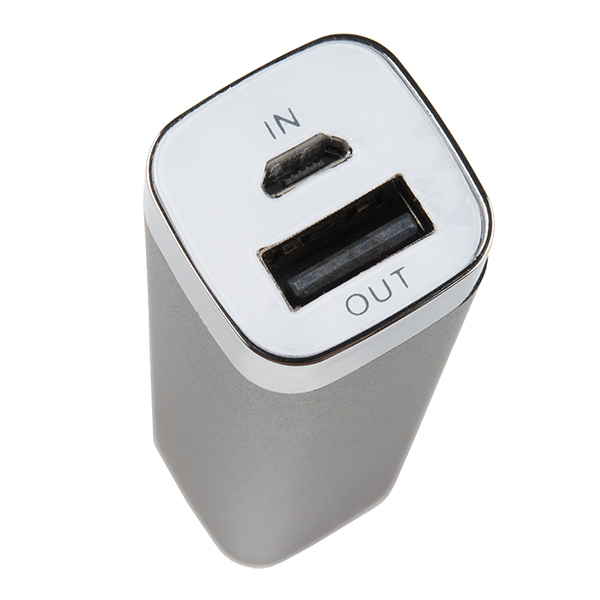 To recharge the battery pack, just plug it into your computer or phone charger using the included USB micro-B cable. 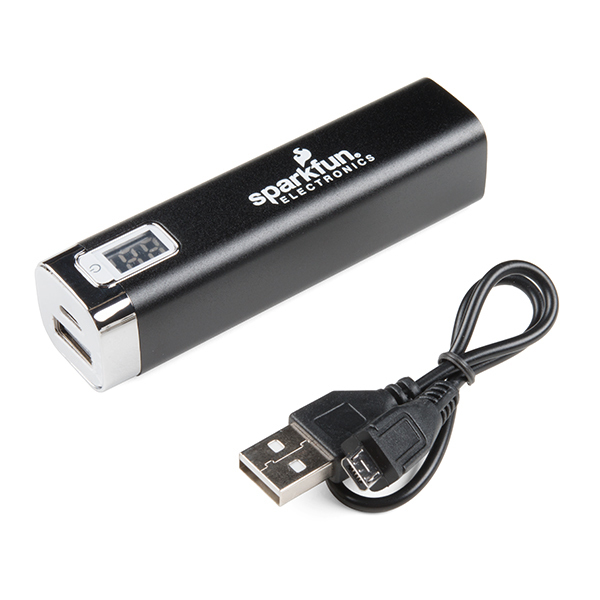 This particular battery pack has a 2,200mAh capacity and will source 1,000mA at 5VDC. 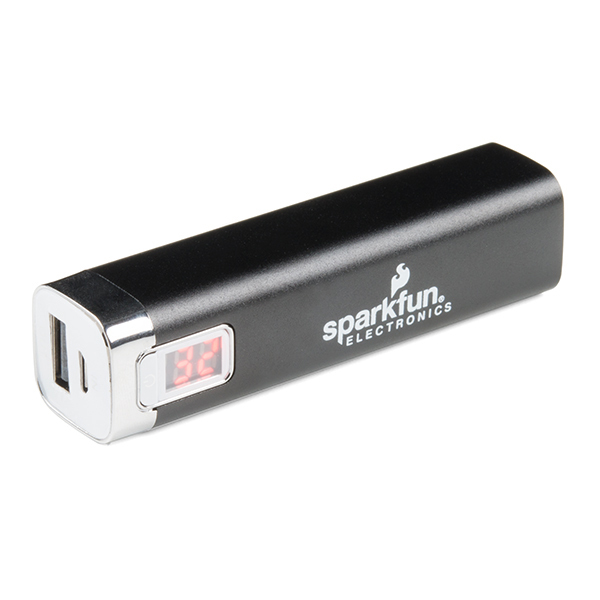 If SparkFun could source some reliable power banks with an "always on" mode, ideally with a physical on/off switch, that'd have real hobbyist value. Normal power banks are too 'smart' to be a reliable power source for things that need a low or variable amount of juice. They might decide to turn themselves off at any moment, requiring you to faff around with the button. I know it's not hard to hack a solution using a 18650 cell, but a ready-made, hobbyist-friendly power-bank would be a handy thing to have hanging around the workbench. I bought two of these. Their output voltages were 4.76V and 5.10V fully charged, so the set-points are too variable. Although rated as "2.2Ah", actual capacity is about half that: 1.036Ah and 1.076Ah. This was measured after several charge/discharge cycles (at only 260mA) gave similar values. On one unit, the entire I/O label pulled off with the cable, exposing additional apertures to the inside. I bought two of these. Yes, the I/O label is crap so I just pulled it off. Looks better without it. It does what I need it to do. It's TINY and it powers my 5V projects on the bench. (used a sparkfun mini USB breakout to get to the power pins). The LED display does show charging status, but I don't think it shows the battery level during discharge. It always shows "100". No matter, I have two. When one dies, I swap it out with the second. Very handy when I need to power multiple projects and the bench supply is busy already.